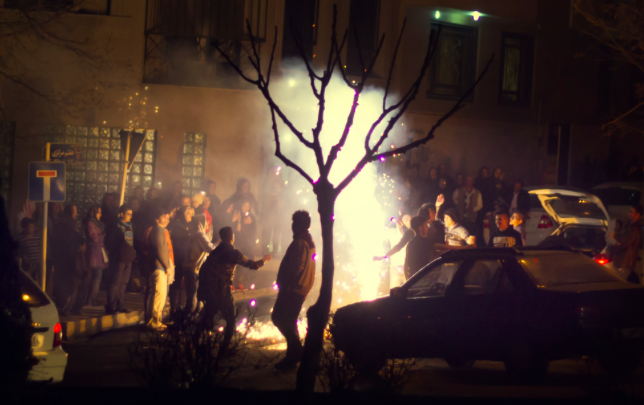 Before Iranian New Year, Tehran becomes a living, breathing explosion. 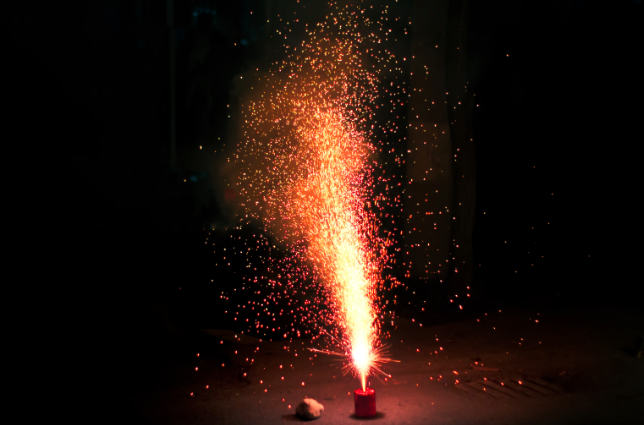 Many years ago, when I was just a little boy, all we had was fire — firecrackers were a rarity. 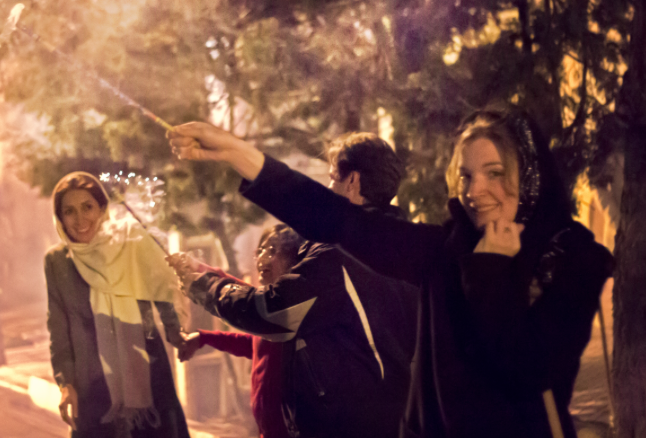 But one day my friend gave me just one firecracker, and I ran through the streets of our neighborhood — proud and full of anticipation — searching for a suitable place to set it off. As was custom, people were sleeping in the afternoon to become fresh for the rest of the working day. A side street close to my home seemed to be the right place. I ignited the firecracker and threw it against a house wall. The bang was enormous; I imagine Tehran had only heard such a bang in times of war. I was shocked and delighted, but when I looked around, I noticed that everywhere people were standing still and looking at me. I grew frightened, believing people might hit me in anger over disturbing their siesta. As fast as I could, I ran back home. But the bang was so beautiful, I could never forget it. Today Tehran is a blur of bangs. It doesn’t allow for any siestas; its streets wake the sleepers from their dreams. Thanks to the influx of Chinese imports, firecrackers are available in every imaginable variety. 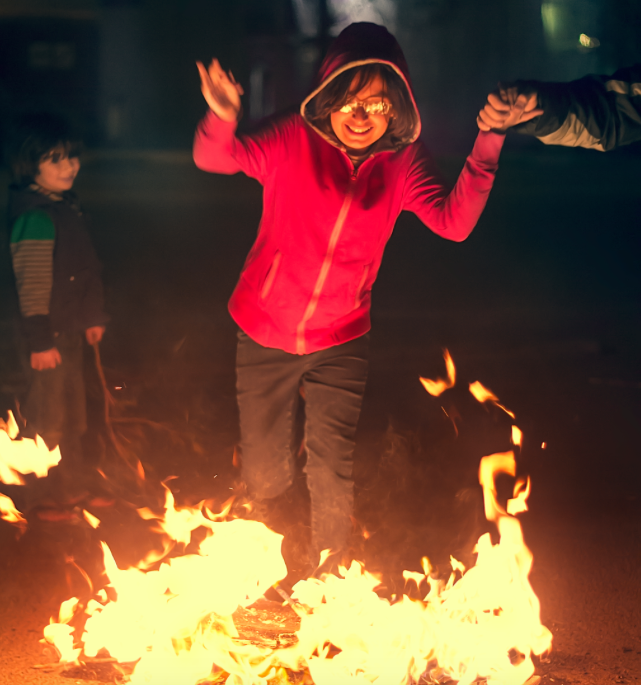 Parents look on with growing worry, and there are serious burns every year, despite warnings on television. 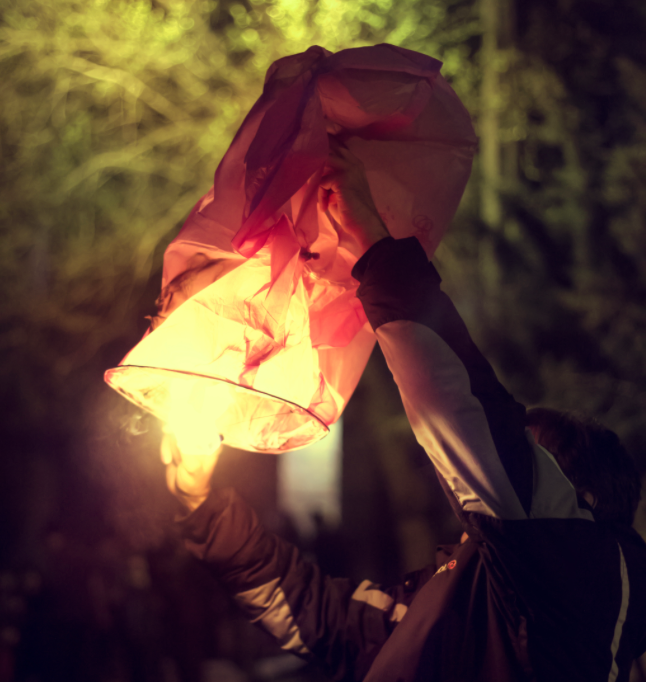 But on the Night of Fire, no child can be kept at home, and no adults can resist the spectacle. 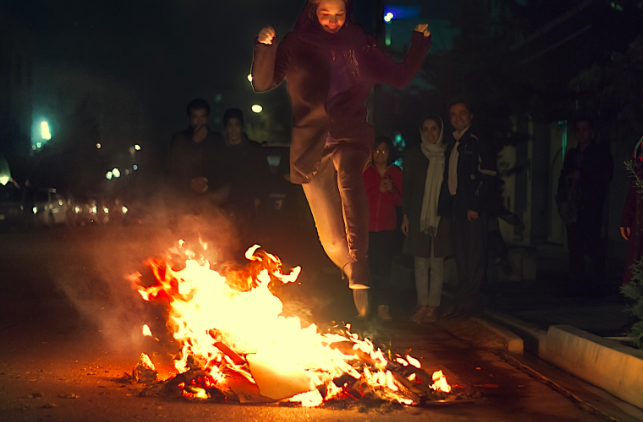 On the Night of Fire, Tehran is a living, breathing explosion — colors paint the sky, and everything that otherwise has no release valve goes off; young people in the streets dance to Persian rhythms, the whole neighborhood gathers together, and everybody with legs jumps over the fires. The fires are everywhere. 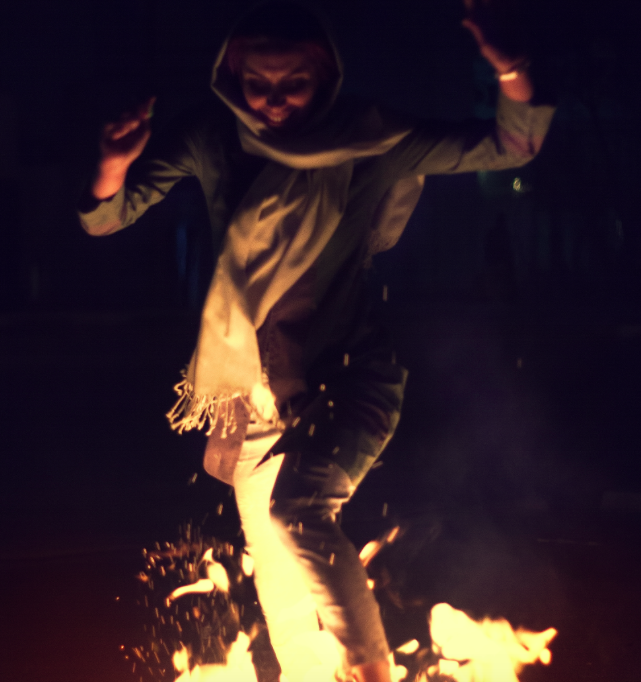 Jumping over fires has a long tradition in Iran, going back at least 3,000 years. 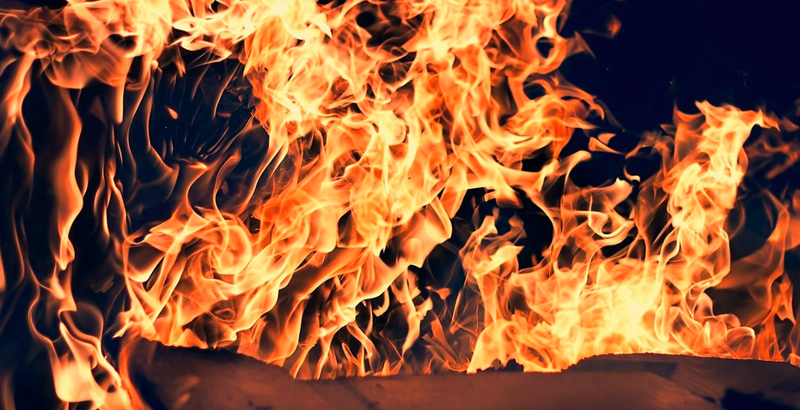 The fire has a purifying effect. 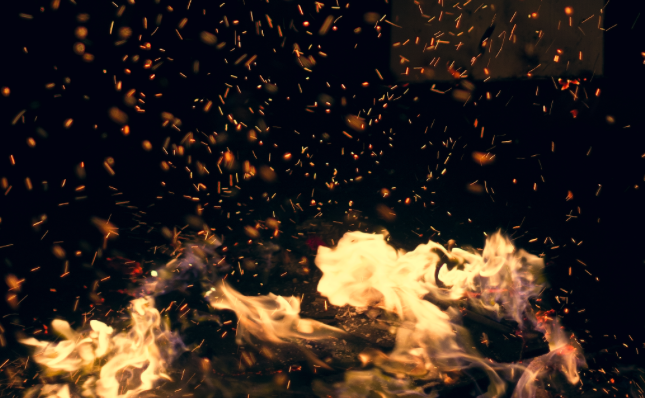 With the jump, all sicknesses and problems are offered to the fire. People sing, zardi-ye man az toh, sorkhi-ye toh az ma, which means, the yellowish is yours and the reddish is mine. The yellow color symbolizes all the bad things which people might have collected in the old year, while the red stands for the warmth and life force the fire can give. 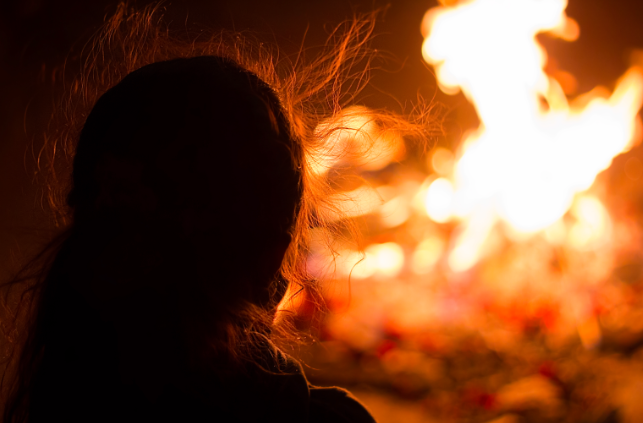 The Festival of Fire — also called Chahārshanbeh Suri — is celebrated the last Wednesday before Iranian New Year, which heralds our season of spring; it is not without controversy. 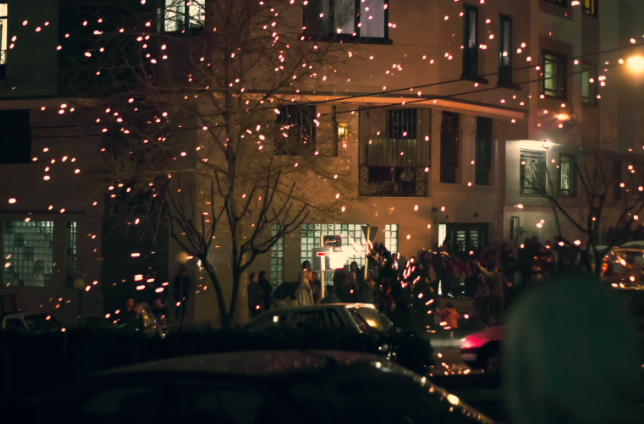 After the fireworks have finished and the fires are extinguished, families sit together and shake the chill off from the streets; rice pudding with hot cherries is served in Persian homes. From time to time you’ll hear the banging of pots and pans — slowly the city and its mountains are covered by a veil of smoke. Houselights burn through the dust, then slowly they click off one by one, until only the streetlights are burning, and the roads are finally empty. With the darkness, dreams rise toward heaven. They are dreams of lightning, of fire, of fireworks.